One time leak I noticed I had was checking up on certain things too often. I’ve already gotten my email processing down to only once a day, but I found I was still checking up on things like blog comments, feeds, ad revenue, sales through my games site, web traffic, watchlists, and other stats several times per day at random intervals. On the one hand, it’s great to have up-to-the-minute information available, but taking in that ever-changing information can become a time drain if done to excess. 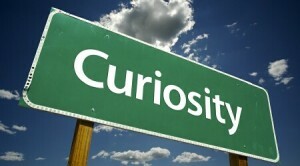 Some days I feel as if I’m infected by the curiosity bug, always wanting to know the very latest information for no particular reason. I’d catch myself unconsciously checking up on various information outlets far more frequently than I needed to. Perhaps this is a strange form of perfectionism. I opted to consciously determine how often I really need to check up on these ever-changing pieces of data. Much of the information is important, and it would be best if I reviewed most of it daily. But just because this data is updated in real-time doesn’t mean I have to maintain a real-time brain-feed. I find that working on my most important tasks early in the day and leaving most of the routine stats checking until later in the day is more productive. While I might miss the chance to react early to some important piece of data by a few hours, it’s rare that happens, and the time savings outweighs that opportunity. Just 10 minutes every weekday wasted on unnecessary stats checking adds up to a full-time workweek every year. No wonder I didn’t have time for a vacation last year…. Of course, if I simply intend to make this change, I’ll be good for a few days and then forget about it and slip back into old habits. So first, I’m going to use a behavioral conditioning technique to put the behavior on cue, in this case tying it to a particular time of day. For stats checking I do once a day, that will be done at the end of my workday after I’ve done everything else. So if I check those stats any earlier, I know without a doubt I’ve goofed. My workday ends at 5pm most days, so that will happen in the 4-5pm range. For anything I do twice a day, the first check will be done right after I’ve completed four hours of writing my book, which will put it into the 11a-12p range, just before lunch. Putting these behaviors on cue helps me establish my new habit by binding it to specific times of day. Secondly, I’m turning this into a 30-day challenge for myself, so I’m committed to sticking with it for 30 days to see how it works. I’m sure many other people have routine tasks they perform far more often than necessary, but perhaps the tasks are still important and can’t be eliminated entirely. Try binding those actions to certain times or day or before or after once-a-day activities like meals, and keep it up for at least three weeks. This will break the old habit and establish the new one.